At The Vein Institute, she was evaluated with a physical exam and ultrasound. She was diagnosed with venous insufficiency or high pressure in the superficial veins due to faulty valves. She underwent treatment of both legs. Incompetent superficial veins were ablated using modern endovenous techniques. 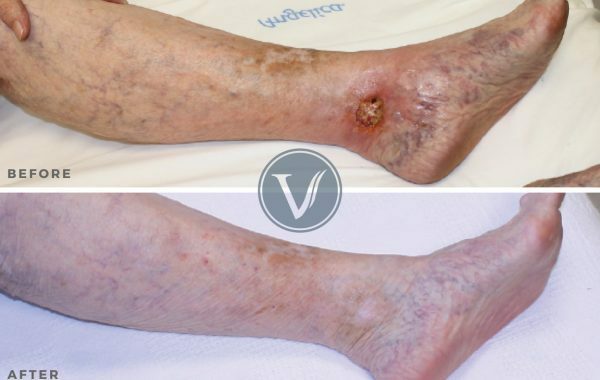 This decreased the pressure in her venous system allowing her ulcers to heal. She has been ulcer free for over 9 months. Also, she notes her symptoms have resolved, enabling her to return to work pain-free.